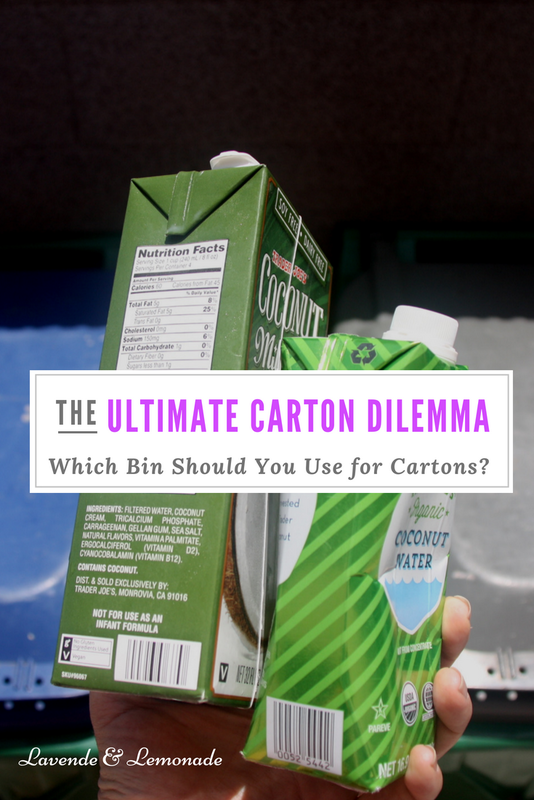 As it turns out, cartons absolutely CAN and SHOULD be recycled. Excellent! For most of America, more than 62% of U.S. households in over 13,370 communities, curbside carton recycling is available. 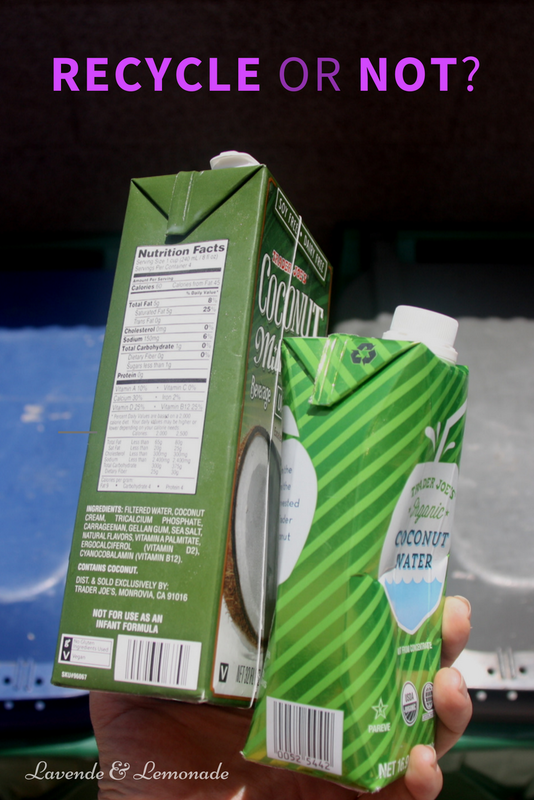 To check if carton recycling is available in your area, you can use the zip code locator at recyclecartons.com, or check with your local program. 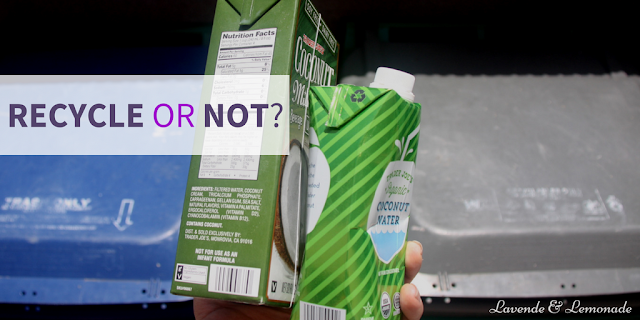 I used the zipcode tool and learned that cartons are absolutely accepted in my curbside pickup! If yours isn't there yet, check back because the list of participating recycling centers is growing constantly. My recycling center doesn't even ask that they be washed or rinsed out. They say to just empty the container, put the lid back on, and toss it into the recycling bin. It couldn't be easier, which is great because I'm a huge fan of all the new carton packaging options! These days, I'm buying more and more products in cartons. 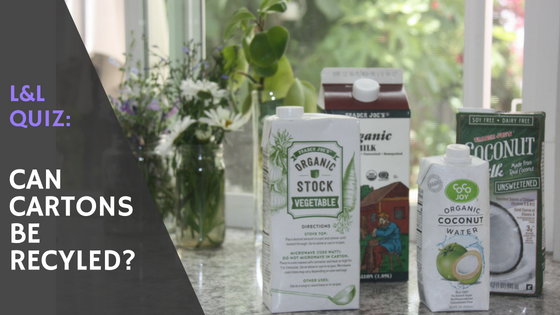 At first it was just for convenience - organic milk for the kids comes in quart-sized cartons that are easier for them to pour than the plastic gallons - and things like orange juice have just come that way for years. Then I started expanding to other aisles in the supermarket, as an alternative to cans to avoid BPA for products like broth, soups, beans and tomatoes. 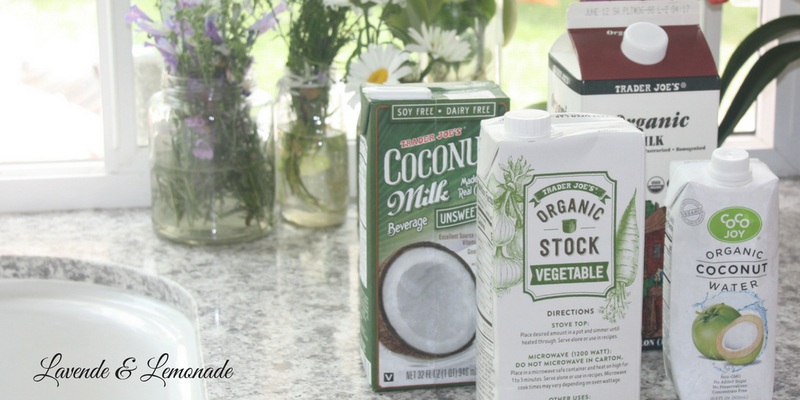 We always have cartons of creamer on-hand because it has such a long shelf life - perfect for dinner in a pinch. And now that I'm a coconut water addict, our carton consumption has skyrocketed! You can even find wine in cartons. 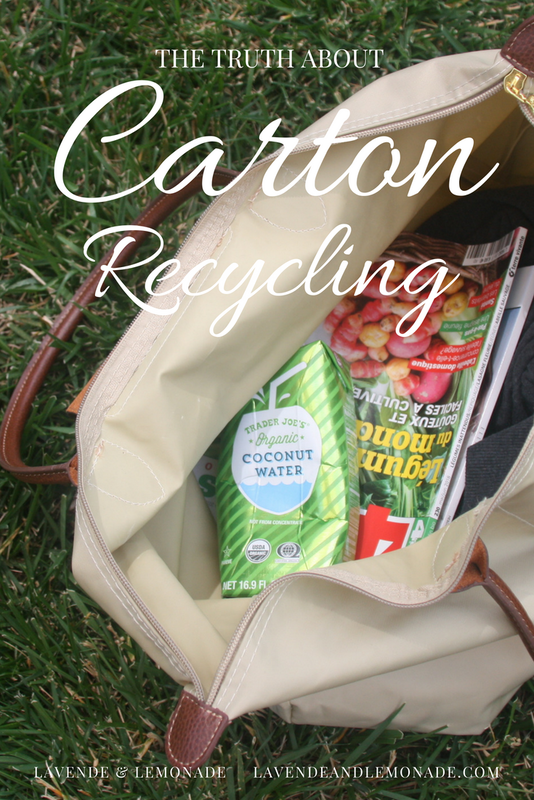 How I recycle cartons, at home and on the go! 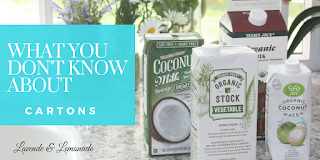 Now that I know just how easily cartons can be recycled, it is part of my every day routine and the transition was a breeze. Now, as a I take a shortcut and add a brick of broth to dinner, I simply empty the broth into the pot, replace the lid, and toss the carton into the bin with all our other recyclables. On the go, like for my coconut water dependancy, sometimes recycling bins are available and sometimes they're hard to find. When in doubt, I tuck the empty container back into my purse or bag (because really, its so full anyhow that what's a little empty package at this point??) and bring it home with me. Then, I can be sure that it's properly recovered and reused. I didn't know there was an actual website for recycling cartons. Where I used to live, we just took everything to the dump or burned our trash. Now that we live in a city, they're pretty big on recycling everything that's not trash. All in all, it's better for the planet that way. We recycle almost everything. Where we live there is a set amount of trash that gets taken for the monthly bill and anything over cost $1.50 a bag so we make sure we do whatever we can to avoid that charge. This is good to know! I usually have tossed out the plastic lid because I thought that couldn't recycle with the carton but now I'll keep it on. Don't judge me, but I never even considered the idea of recycling my cartons. I will be from now on thanks to you. 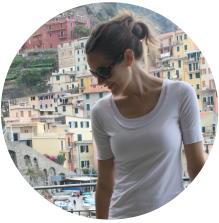 I'm all for anything that helps lessen waste, so this article of yours needs to be shared! Loving the info you put up here! Thanks for the information your article brings. I love every your publications.